KUNG FU PANDA 2: War and Peace in 3D Adventure! “Kung Fu Panda 2” explodes in animated 3D high-gear with an opening action fight scene with Panda, Po (Jack Black) who uses his quick Kung Fu maneuvers. Hero, Po has emerged from being the clumsy panda adopted son of a goose, Mr. Ping (James Hong) to the Dragon warrior protecting the “Valley of Peace”. Master Shifu (Dustin Hoffman) advises Po that in order to truly master Kung Fu he must find “inner peace” and from that he can harvest the flow of the universe. Po is faced with a new villain who is a peacock, Lord Shen (Gary Oldman) who threatens to take over all of China with his metal weaponry. Throughout his journey through snow and desert to infiltrate Lord Shen with the help of his team, the “Furious Five” consisting of Tigress (Angelina Jolie), Crane (David Cross), Mantis (Seth Rogen), Monkey (Jackie Chan) and Viper (Lucy Liu), Po experiences visions that bring him to his other journey – discovering who is and where he comes from. The Soothsayer (Michelle Yeoh) tells Po that he can choose who he wants to be. Combined with a revelation, this in turn, besides the “inner peace” gives Po the strength he needs to face Lord Shen. The 3D animated feature takes audiences on a whirlwind of time lines through flashbacks which are shown using a different visual look as to not confuse viewers. “Kung Fu Panda 2” is a fun family movie with five times the adventure! Surprising and witty! Great underlying themes for children to take-away from this film are: loyalty, self-validation, embracing your unique qualities, and finding answers within yourself. All very valuable lessons to learn at any age! 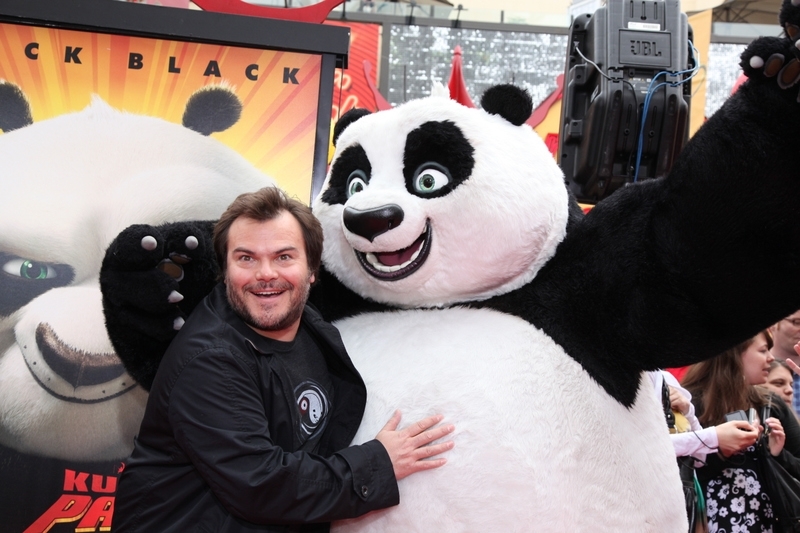 “Kung Fu Panda 2” opens in theaters this Thursday, May 26! Photos & video courtesy of Paramount Pictures.